A stolen Mini-Cooper was found in Tyngsborough, Massachusetts, submerged in the Merrimack River thursday. 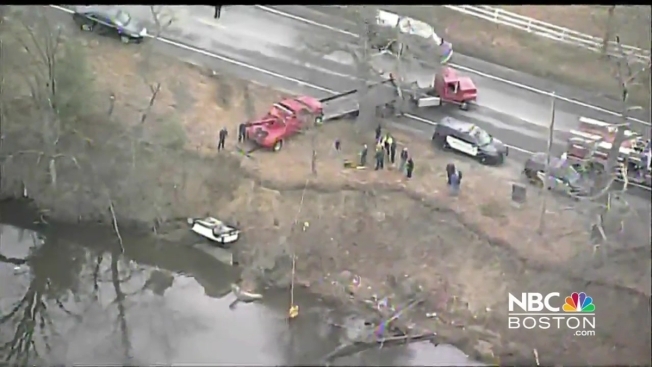 The vehicle was found by the University of Massachusetts Crew Team, whose coach told police that she was in the river with her team when they spotted the car. No one was inside the vehicle, which had been stolen at 6 p.m., Wednesday, out of Hampton Falls, N.H. According to the Tyngsborough Police Department, the vehicle appeared to be recently dumped. The keys were still in the ignition, in the "on" position, and some electronics were still activated.